Discussion in 'For New Members' started by towtruck, Jul 11, 2018. Welcome to SMF from Minnesota. I think your idea is a bit basic but you won't know if you don't try it. Thanks for the welcome. I know the idea is pretty simple but those two chunks of steel weight 700 lbs.....I'd hate to waste them but my mind is made up that I'm going to figure out a way to make them work. Just wanted to welcome you to the site, sorry I'm not a builder so I cannot help with your question. Glad to have you join the group! I'm no builder either, but I'm sure one will be along shortly. Or you can start a thread in the smoker build section. You have come to a happy place. Your d sign looks intriguing and possible. I would also suggest you start a thread in the smoker build section. You will get more response there. That does look interesting. 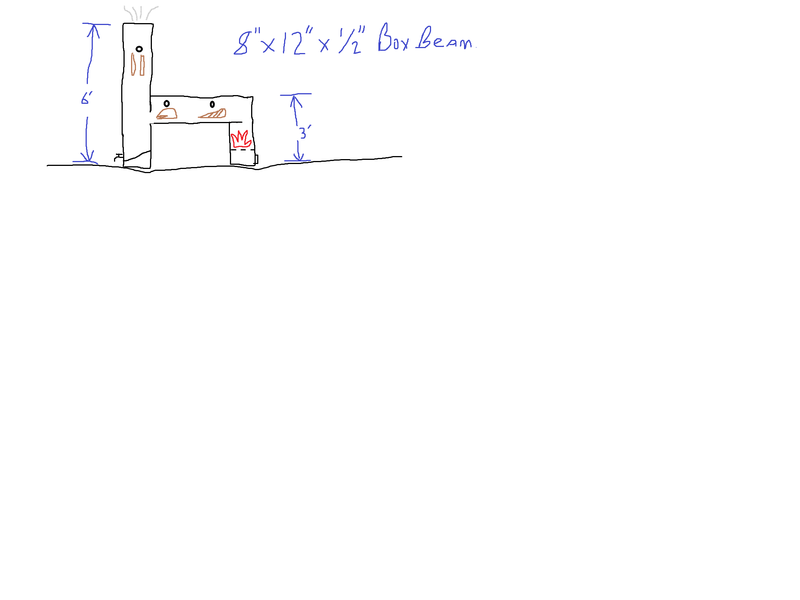 I would be concerned 8X12 wouldn't hold enough fuel to generate adequate heat for all that steel. But then again, I'm not an engineer. I would check out one of several BBQ calculators out there (this is a good one) to help in finalizing your plans. I envy your ability to build from scratch. Let us know how it turns out and please post pictures of the build process. And I almost forgot.....welcome to the forum!! Thanks everyone, I will post up the design in the builder area and see what pops up. Indeed, it looks good. Welcome aboard!